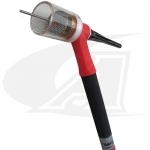 With the modular design of the Weldcraft WP-150 TIG Torch, you can create several different TIG Torches by installing a different torch head. 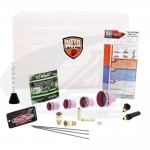 The WP-150 Torch Package from Weldcraft includes the 70 degree 9 and 17/26 style TIG Torch heads. 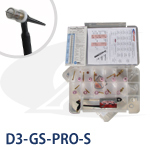 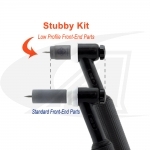 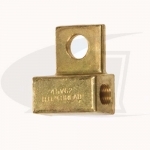 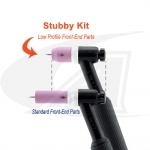 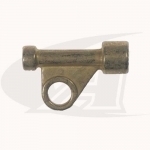 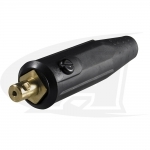 You may also select a 24 style TIG torch head. 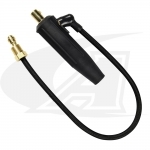 Depending on the style of head you choose, your WP-150 TIG Torch can accept either the nozzles, collets and collet bodies utilized on the WP-9 TIG torch, the WP-17 TIG torch or the WP-24 TIG torch. 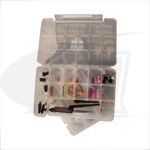 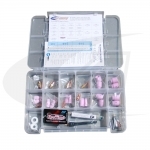 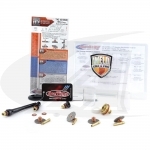 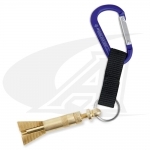 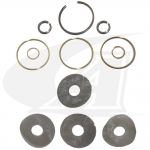 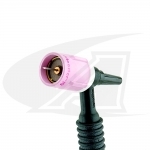 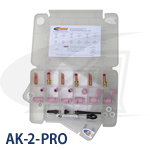 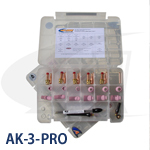 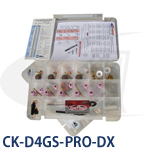 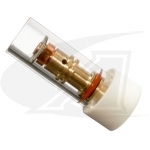 Select an Arc-Zone PRO Accessory Kit. 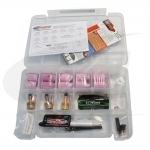 Everything you need to Weld Like A Pro™ !